Dr. Leonid Panin, Dean of the Humanities Faculty of Novosibirsk State University (NSU), which serves as the academic, cultural, and economic center of Siberia, Russia, visited Korea in early September as a guest of the Korea Foundation. During his stay, Dr. Panin visited several academic institutions, including Seoul National UniversityЎЇs Kyujanggak Institute for Korean Studies, Ajou University's Graduate School of International Studies, and Pusan University of Foreign Studies, to discuss ways to promote academic exchange and cooperation. As an authority on Church Slavic, his publication endeavors have included three dictionaries, ten books, and some 180 linguistics-related papers. Of note, he has played a leading role in the faculty development at NSU. During his tenures as Dean, the Humanities Faculty has since been expanded to eight departments, including archaeology, languages and folklore of Siberian peoples, ancient languages, and Oriental studies (Korea, China, and Japan). He has also been instrumental in promoting Korean Studies courses at NSU. Q: What was the main purpose of your visit to Korea? A: This was my first visit to Korea. I accepted the invitation from the Korea Foundation to enhance my understanding about Korea in general. I thought that the visit would enable me to understand the activities and characteristics of the Korea Foundation as a partner organization for the development of Korean Studies courses at my university. I also thought that it would be a good opportunity to identify the status and strengths of Korean universities by visiting various institutions of higher learning, and therefore come up with specific ways for NSU to engage in exchanges with Korea. Q: You were able to visit Seoul National University, Hankuk University of Foreign Studies, Ajou University, and Pusan University of Foreign Studies. What were your impressions of these universities? A: I was deeply impressed at the excellence of research and teaching methods at the universities. I delivered a lecture at the Institute for Russian, East European, and Eurasian Studies of Seoul National University. I was surprised to find out that research on Russia is being conducted so systematically and widely in Korea. By visiting the Kyujanggak Institute for Korean Studies and learning about its collection and research, I also came to know how much the Korean people invest in and how eagerly they study their own history and tradition. I was surprised again to learn that Hankuk University of Foreign Studies offers a graduate course in Church Slavic, which happens to be my major. After starting out as a science and engineering institution, like NSU, Ajou University seems to have grown rapidly into a comprehensive university. I also found the well-equipped educational facilities of Pusan University of Foreign Studies to be highly impressive. I was able to learn the characteristics of each of the universities that I visited. Now, I plan to implement exchange programs with them, by making the most of their strengths. Q: After your experiences in Korea, have your perceptions of Korea been changed? A: In reality, Korea is not much known to Russia, especially in the Siberian region. My image of Korea had been influenced by the U.S. TV drama 'M.A.S.H,' which portrayed a difficult period for Korea. After seeing Korea for myself, however, I found Korea to be very much advanced technologically. The visit provided me with an opportunity to understand the real meaning of the 'Miracle of the Han River.' I think such noteworthy development of Korea is attributable to its sincerity and investment in education. It was amazing to see children, accompanied by their parents, learning about things at the National Museum of Korea, Korean Folk Village, or wherever I went. I could see the Korean people trying to retain their history and tradition, even though they are living in an age of high technology. Such an attitude is also well represented in Seoul where high-technology buildings harmonize with historic palaces. 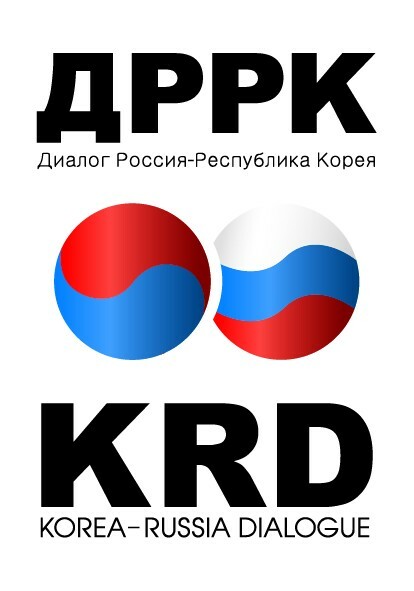 I think Korea, which has achieved economic development while maintaining its tradition and history, represents an exemplary model for Russia and other European countries, in the pursuit of their economic development. Q: In Korea, state-level support and various efforts undertaken in the past to promote the humanities fields seem to be declining in recent years. How would you describe the situation in Russia? A: I am afraid that the reality of humanities disciplines in Russia is not bright either. All resources are being funneled into economic and technological development, and little attention is given to the humanities. I think policy makers need to properly understand the importance of mother tongue and culture. The humanities fields are based on humanity and therefore serve as an important means to help strengthen humanity at a time when practicality is being emphasized. The education of virtuous human character is important for the development of the humanities, and the Russian church plays a considerable role in this regard. Q: What was the background of NSUЎЇs efforts to offer Korean Studies courses? And how would you describe the outlook for Korean Studies at your university? A: Korean Studies at NSU began in the mid 1990s when a Korean missionary, who was my former student in a master's program, started to teach Korean language at my recommendation. A Korean Studies major program was first offered in 1997. The offering was suspended temporarily, but resumed three years later. Now, 50 students are majoring in Korean Studies. The program is divided into majors for Korean language and literature and for Korean history and archaeology. We plan to offer a Korean economy major in the future. It is important to secure faculty members to steadily develop the program, but it will take much time to train Korean Studies scholars since the Korean Studies program at NSU has just started and people have difficulty pursuing an academic career in Russia because of the limited employment opportunities. Q: What kinds of projects with Korea do you plan to implement? A: As Dean of the Humanities Faculty with a Korean Studies program, I can now introduce Korea to students with more confidence since I have experienced Korea in person. It is also meaningful that I was able to find suitable Korean partners for cooperation and lay the groundwork for the development of Korean Studies and exchange with Korea Seoul National University, for history and archaeology; Ajou University for faculty training and cooperation in practical fields, such as economy and business administration; and Hankuk University of Foreign Studies and Pusan University of Foreign Studies for language and literature. I concluded an MOU with Seoul National University's Institute for Russian, Eastern European, and Eurasian Studies for exchange and cooperation. Also, NSU is a key university in 'Akademgorodok,' the model community of Korea's Daedeok Science Town, and recognized for its world-level nuclear physics, information sciences, and medical sciences. So, I look forward to more active exchanges between NSU and Korean universities in various sectors.